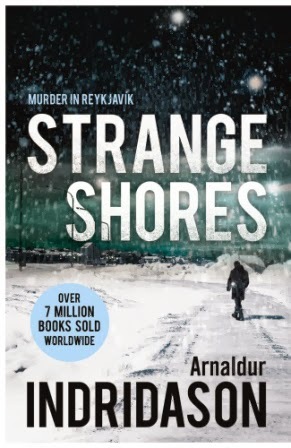 In what seems to be the last of his Erlendur series, Arnaldur Indriðason's Strange Shores takes what was already a melancholy character a step further. Erlendur has been for the last few books absent from Reykjavik, visiting the remote location where he grew up and where his brother had been lost in a snowstorm, an event that has colored his character (and the whole series). Erlendur became interested, because of this family history, in the more general topic of people lost and never seen again, and he begins (without any official police backing) to investigate the case of a young woman who disappeared in a mountain pass, at the same time and in the same area as a group of British soldiers stationed in Iceland had gotten lost in sudden storm. The British were all found, alive or dead, but the Icelandic woman was never seen again, alive or dead. Indriðason's writing is very straightforward, but his stories can be a bit elliptical, with the same people and incidents being revisited again and again. We visit with Erlendur, one after the other and then around again, everyone still alive with any relation to the missing woman, as well as the descendants of others. Very gradually, a picture of what happened emerges, with a couple of surprises at the end. Interspersed with this investigation is a series of inner monologues of a man (not always named, but plainly the detective himself) struggling to stay awake while he is himself trapped in a snowy wilderness. These passages make clear what the ending of the book (and the series) will be, but the advance warning does nothing to lessen the impact of of the novel's conclusion. 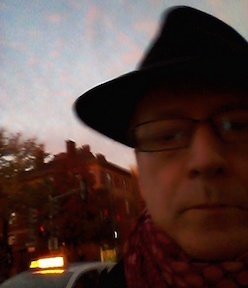 The two threads (his investigation and his own end) are not intertwined in any obvious way, as neither is the story of his long-lost brother--though all aspects of the tale are related in a more subtle and metaphoric way. This is a very Icelandic story, it seems to me, a tale of the far north to be sure. And it is a rural story, with little to do with the distant city (though modern times are encroaching even here, another melancholy aspect of the tale). The rural (and cold) setting is vividly (and freezingly) evoked. All the elements of a police procedural are here, but not in the usual way, and all the elements of this series are also present, though the other detectives are only mentioned in passing (each of the major characters in the series was featured in the previous two books). This is perhaps not the book to begin reading Indriðason, though nothing in the story requires knowledge of something that has gone before (Erlendur reflects back upon things that have happened in his career, but in a self-explanatory way). But as the capstone of the series or as a novel in itself, the story is powerful, involving, and compulsively readable, in the manner of, but more so, all that we have so far seen of the author's work in translation, but in a tighter, more intensely focused, manner.